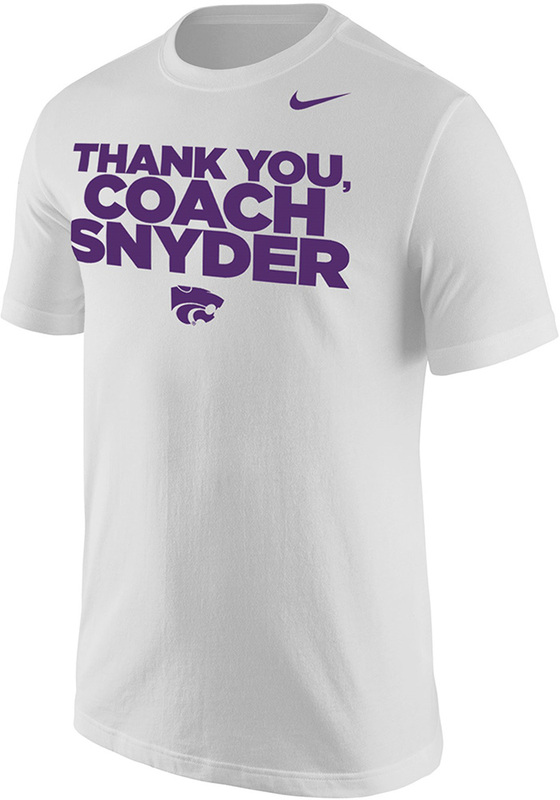 Show off your team pride in this K-State Wildcats White Thank You, Coach Snyder Short Sleeve T Shirt! 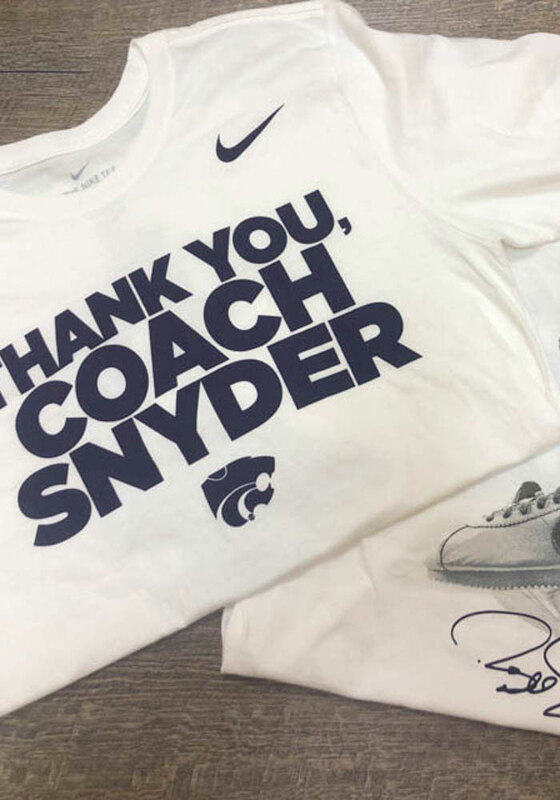 This K-State Wildcats Short Sleeve Tee features a screen print of "Thank You Coach Snyder" with autograph graphic on back. Make sure everyone knows you root for the Wildcats with this White K-State Wildcats T Shirt. Fear The Cats!